I was lucky enough to experience one of BMW's brand workshops last month. They take this seriously and try to get as many BMW employees as possible through their full-day, off-site induction. And it is not fluffy stuff. They equip sales staff to answer hard questions on trade offs. For example, if a customer queries why a particular model has less boot space than a competing brand, they can explain that BMW value the driving experience more and given a budget restriction, leg room is where the resources go. Clearly BMW believe in the investment of their brand. A full-day induction for everybody is not cheap. But it pays off. 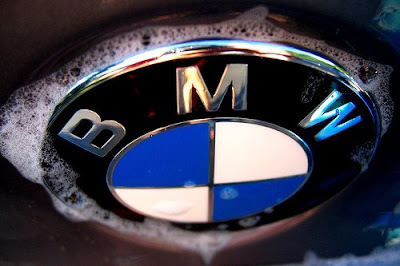 BMW drivers are emotionally attached to their cars. This emotional engagement is nicely demonstrated in the book Trading Up. The authors quote Dr. Michael Ganal, a BMW board member - "BMW owners wash their cars more frequently than owner of other cars do. They park them on the street and then turn back to gaze lovingly at them as they walk away". hi P, i'm sure you used to wash your micra all the time. I haven't washed my vespa in about 2 years but it still looks beautiful. where is your blog? Make an effort now.